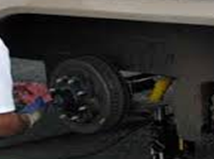 WHEEL BEARING PACK / BRAKE INSPECTION: Recommended annually to prevent bearing and brake failure. Includes: Removing, cleaning, and re-packing wheel bearings. Installing new seals, Inspect, clean, and adjusting the brakes if needed. MAJOR APPLIANCE CHECK OUT: Perform annually to make sure that appliances are operating properly so you can have trouble-free camping. 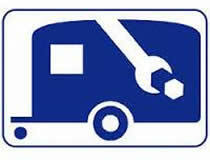 Includes: A/C unit, Furnace, Water Heater, Stove & Cooktop, Refrigerator, Fresh Water test and LP leak pressure test. 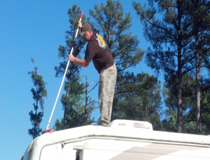 RUBBER ROOF PREVENTATIVE MAINTENANCE: One of the most expensive RV repairs can be avoided with a inspection, cleaning, and UV treatment of your rubber roof. Includes: Rubber Roof Cleaner, UV Protectant, and Inspection of all seams and roof attachments.